The 82-year-old received a loud applause while he walked to centre ice for a ceremonial puck drop between captains Zdeno Chara of Boston and Max Pacioretty of the Canadiens. Wearing his No. 22 on his Bruins jersey, O'Ree tipped his black fedora to the crowd. 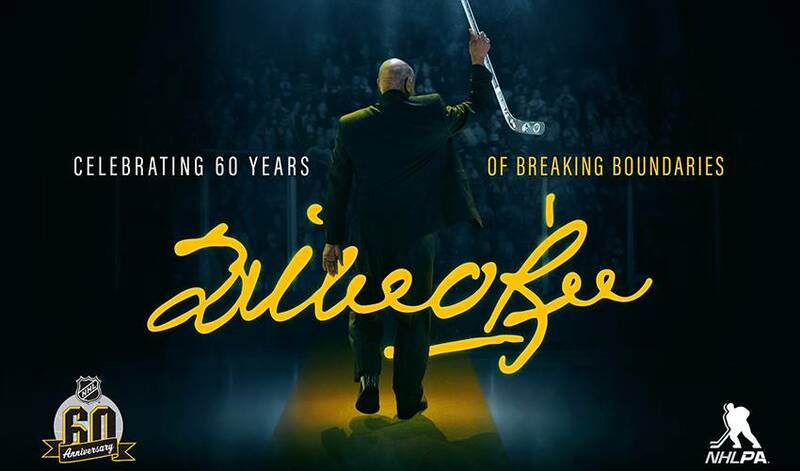 BOSTON — Hockey pioneer Willie O'Ree was honoured in Boston on Wednesday on the 60th anniversary of the Bruins forward breaking the NHL's colour barrier. At a news conference at the TD Garden before the Bruins game against the Montreal Canadiens, Mayor Marty Walsh declared Jan. 18, 2018 to be "Willie O'Ree Day". O'Ree made his debut in 1958 during a 3-0 victory against the Canadiens at the Forum in Montreal. Walsh called O'Ree a Boston legend who changed the city for the better and thanked him for his courage. As part of the celebration, the city dedicated a new street hockey rink in the Allston-Brighton neighbourhood to be known as Willie O'Ree Rink. The 82-year-old O'Reem from Fredericton, N.B., received a loud applause while he walked to centre ice for a ceremonial puck drop between captains Zdeno Chara of Boston and Max Pacioretty of the Canadiens. Wearing his No. 22 on his Bruins jersey, O'Ree tipped his black fedora to the crowd. Both teams wore patches with a '60' centred in a circle, the NHL logo on top, 'Willie' on one side and 'O'Ree' the other with 'anniversary' scrolled across the bottom. The same design was on the ice behind both goals. Despite being legally blind in one eye, O'Ree dressed for the Bruins and stepped onto the ice at the Montreal Forum on Jan. 18, 1958. He played two games with Boston before being sent to the minors. He returned to the NHL in the 1960-61 season, scoring four goals with 10 assists in 43 games before being traded to Montreal. He spent a total of 21 years in pro hockey.